W&L Team Headed to National Finals of NYC Bar Moot Court Competition Third year law students Max Gottlieb, Bo Mahr and Jenna Lorence will represent W&L Law at the national finals of the NYC Bar Moot Court Competition. 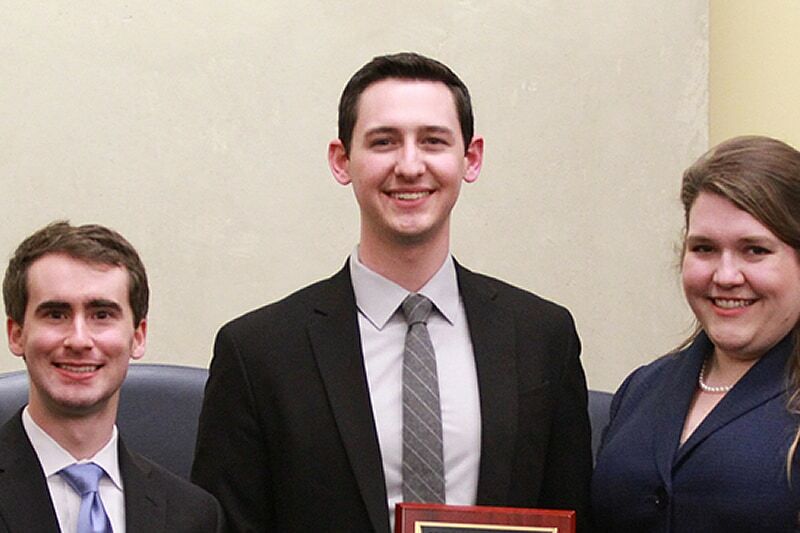 Third year law students Max Gottlieb, Bo Mahr and Jenna Lorence placed second at the New York City Bar Association’s regional moot court competition this fall. Lorence was also named best oralist in the final round. The team will represent W&L Law at the national finals in January. Congrats and good luck!